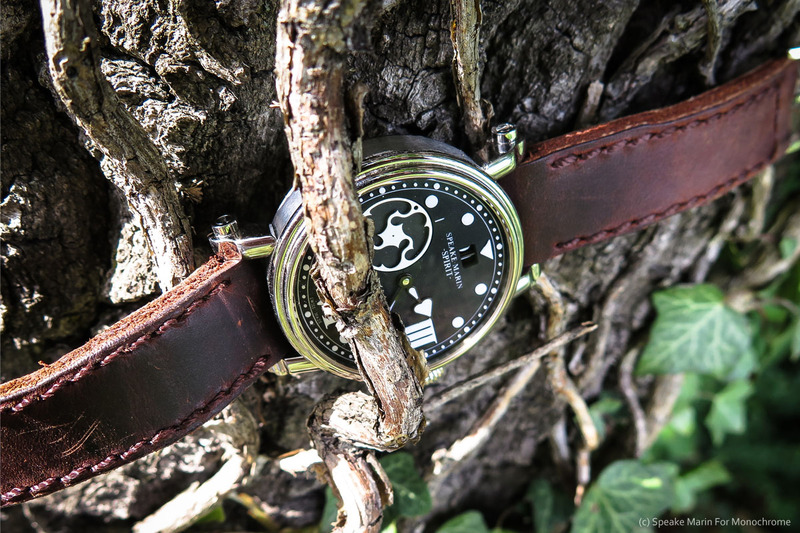 Watches are made to live, to be worn and to have their own story, visible through the marks they are adorning on their case and strap. 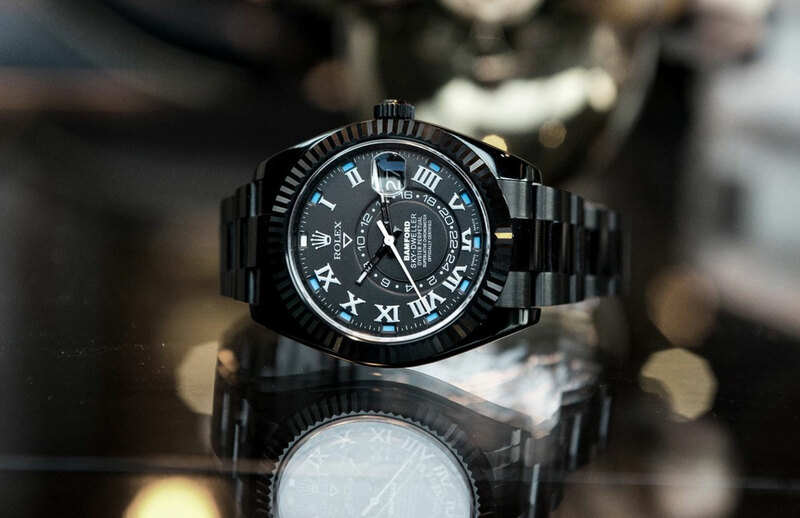 We already told you several times, we love watches and for that reason, we want to see them on a wrist and not into a display. 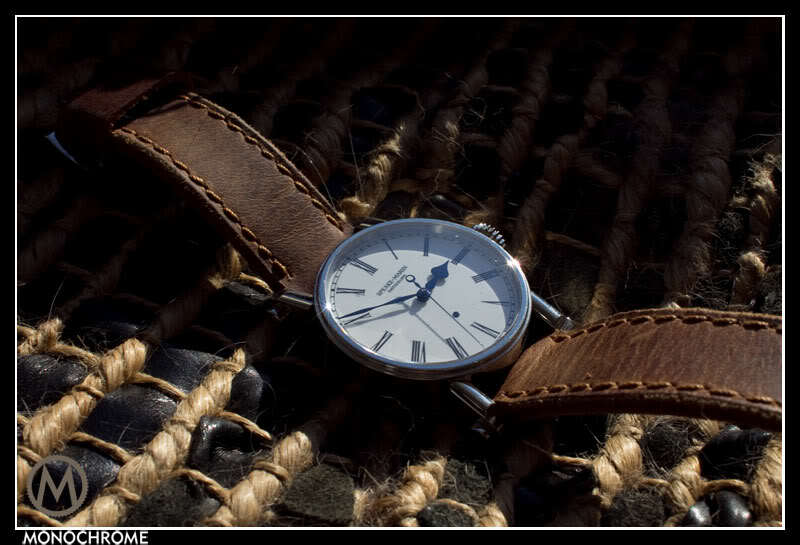 That’s the main reason of this summer series: watches worn and photographed by the creators, the watchmakers. 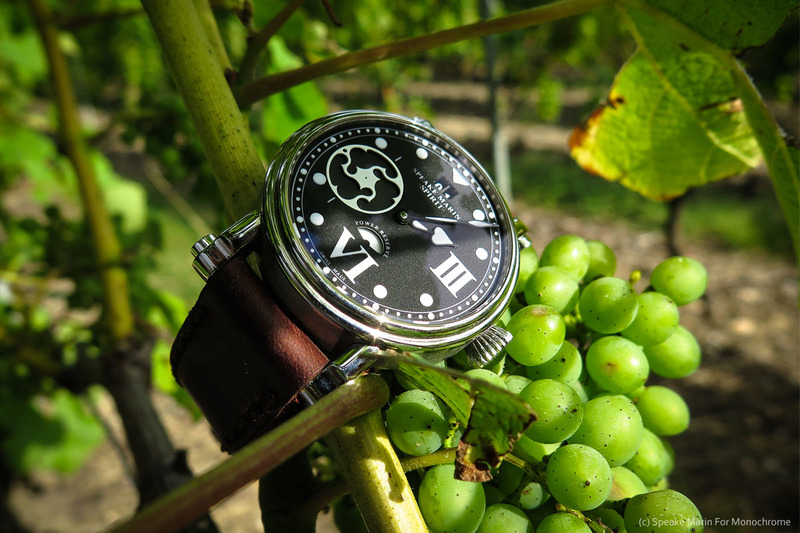 Today, our very good friend Peter (Speake-Marin) showed up with a Speake Marin Spirit Wing Commender, in a context far away from the spotlights. 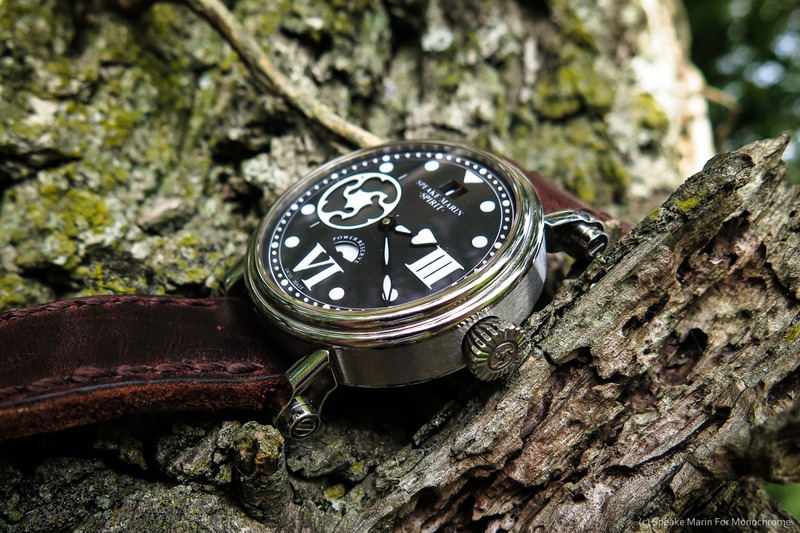 Speake Marin is used to create some of the most complicated and desirable watches around. For instance, he is a renown watchmaker who participated to the creation of multiple timepieces, such as the MB&F HM1, the very first model of the brand, or the Maîtres du Temps Chapter One Round Transparence. But he mostly known for his own complications and his own sense of design. In 2012, he came to us with a magnificent and complex skeletonized tourbillon and minute repeater, the Speake Marin Renaissance. 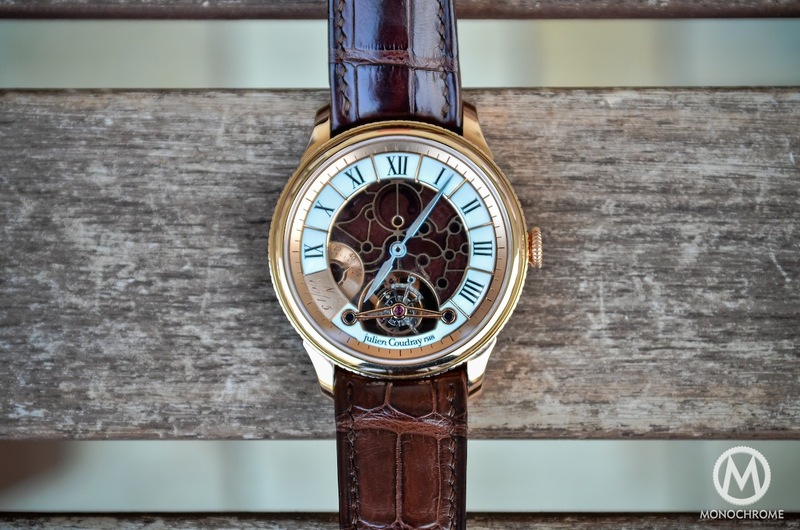 Recently, he presented two watches to demonstrate his ‘know-how’: the Speake Marin Triad, with a triple time indications and the Tourbillon Magister. 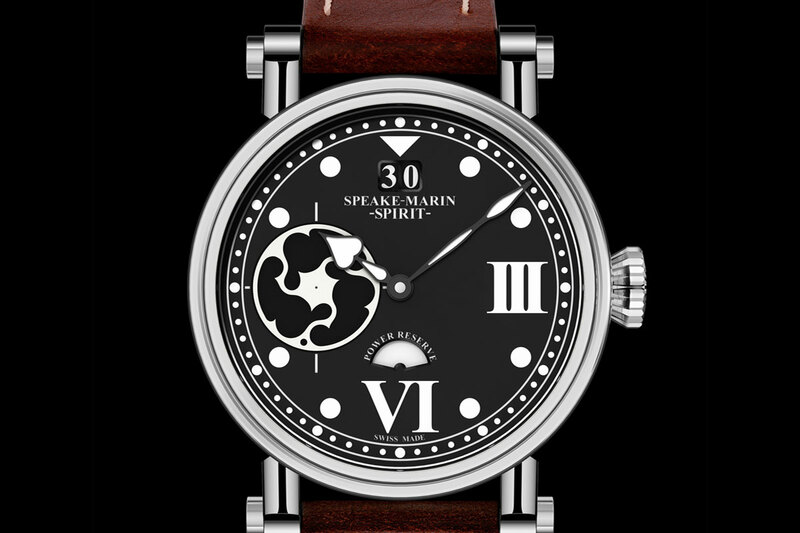 But Speake Marin is not only playing in the very high-end arena, as for a few years now, the brand is also offering a more affordable collection: the Spirit Line, using the same iconic design, meaning the Piccadilly case and the Foundation style hands, but in a sportier approach. 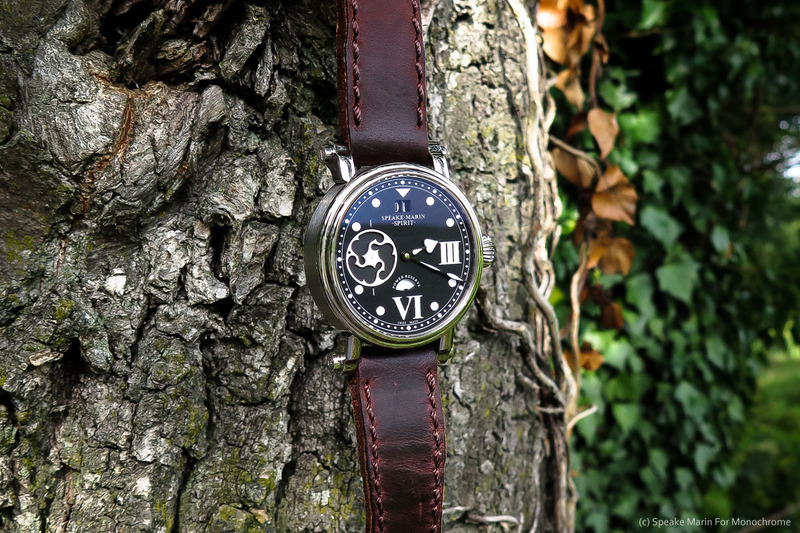 All of the watches that compose this collection – the Spirit Mk II, the Seafire Chronograph and this Wing Commander here – are inspired by pilot instruments. 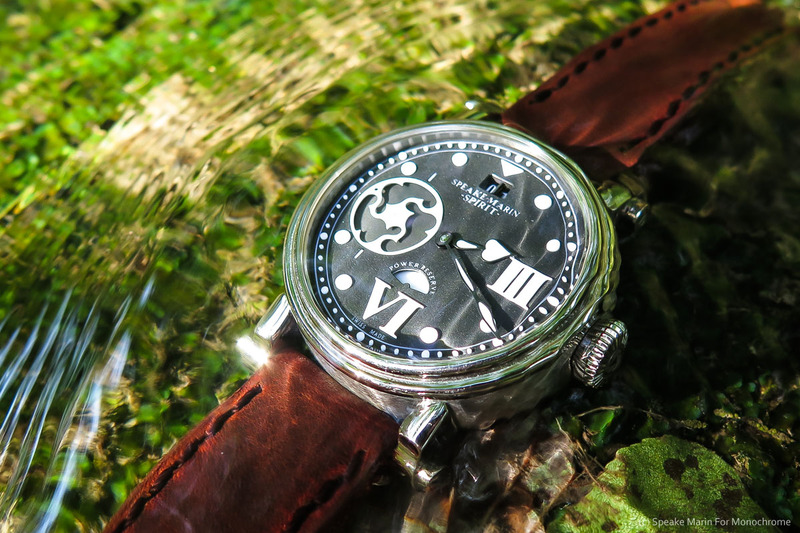 Combined with an enlarged case (42mm), a black matte dial and contrasting indexes and hands, Speake Marin adds a lighter and stiffer case made in Grade 5 Titanium. 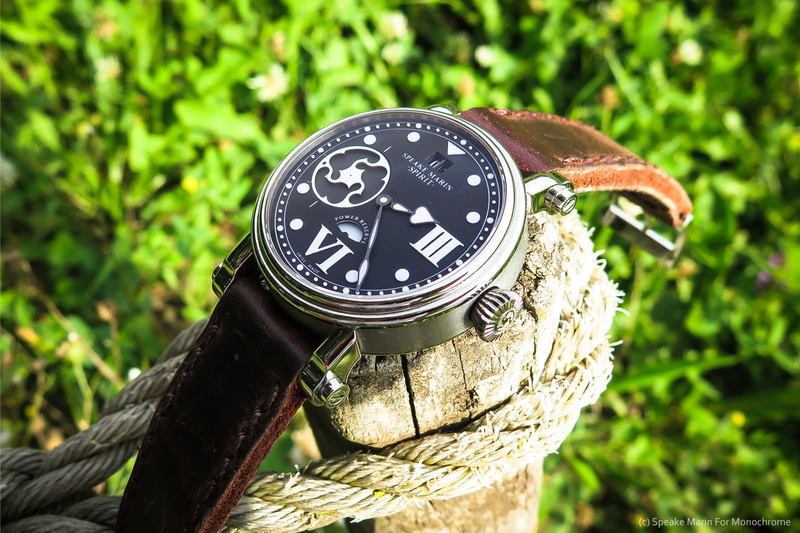 In order to keep a reasonable price (7,500 CHF before tax) without any compromises on the quality and spirit of the brand, the Speake Marin Spirit Wing Commander relies on an outsourced movement. However, this calibre offers a quite interesting layout and displayed useful indications, such as a big date at 12, a small second at 9 (represented here with a white wheel that uses the ‘topping tool’ shape that Peter loves – and now emblem of the brand) and a power reserve indicator at 6, close to a ‘fuel gauge’ and displaying a bright Super-LumiNova white when completely wound (full), turning black (half-full), then red (running on empty) as the available energy diminishes. 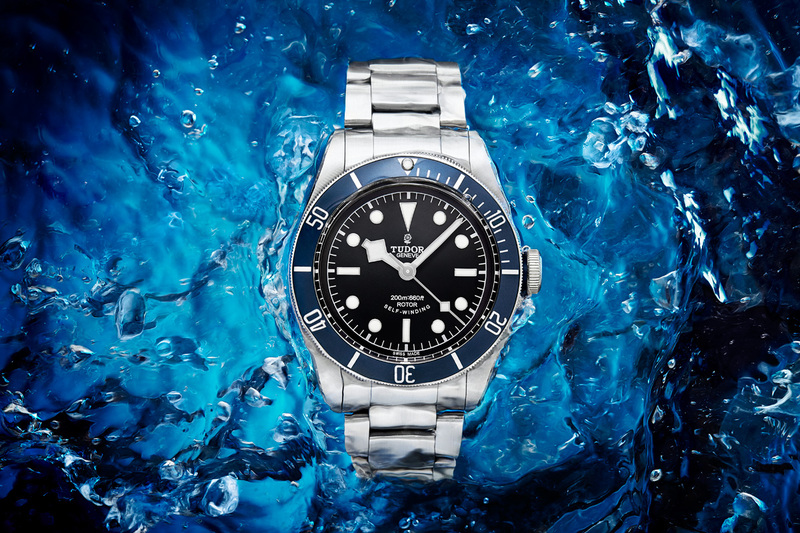 The case is made of titanium and offers a great comfort on the wrist, due to a reasonable weight. The indexes and numbers are made of white elements in Super-LumiNova, in 3D relief and inserted into the dial, creating a splendid contrast with the black face and a very high legibility – an important point for a sports and pilot watch. 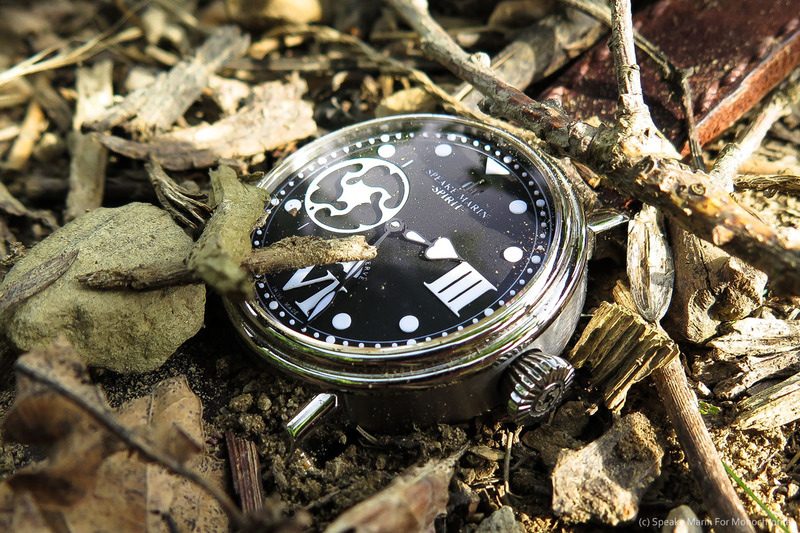 The most surprising is to see how the watch is treated here by his owner and creator, buried in a forest ground, attached to barbed wire or plunged in a river. And actually, it looks pretty good like this. 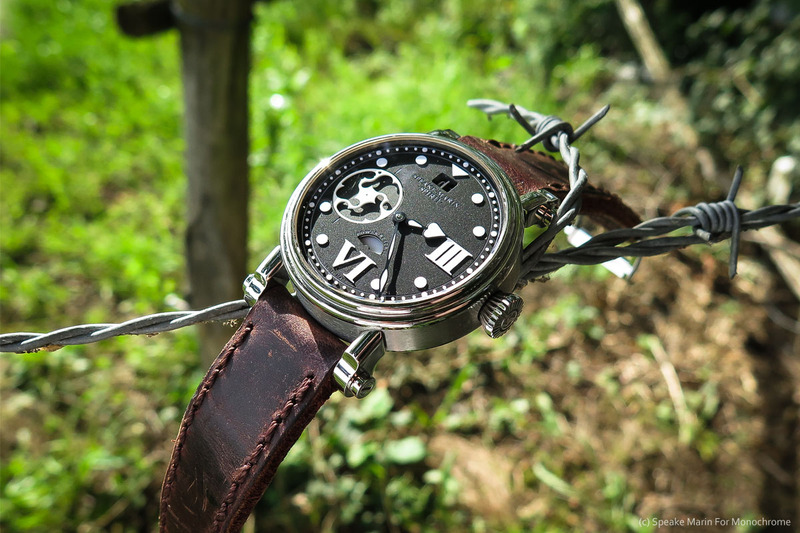 The strap may be ‘destroyed’ and patinated, the watch will certainly keep some scratches and dents after such a treatment, but whatever, it was made for that. And it has a story written on its case and strap now!